Illustration of several children collecting pumpkins in Fall Festival. In the background there is one hayrides. 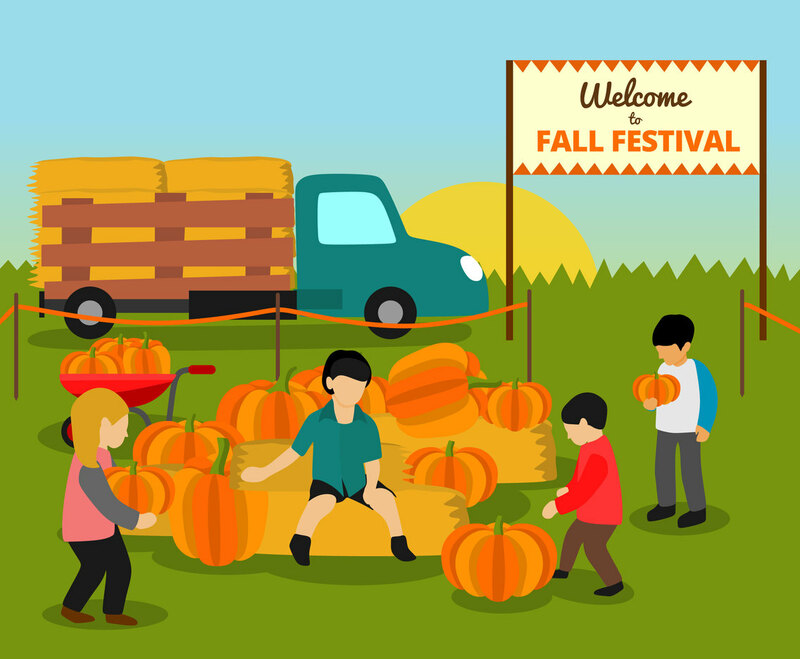 The design is made in vector format so you can easily edit the element for Fall Festival celebration poster or event flyer.